By far the largest lamp series PUK is a real eye-catcher that fits elegantly into almost any context. PUK Ceiling Twin Sister is so to say the big sister of the series of Top Light, which is distinguished mainly by their variability: Filters, lenses, housing surface, length of the arms - everything is changeable according to your wishes. 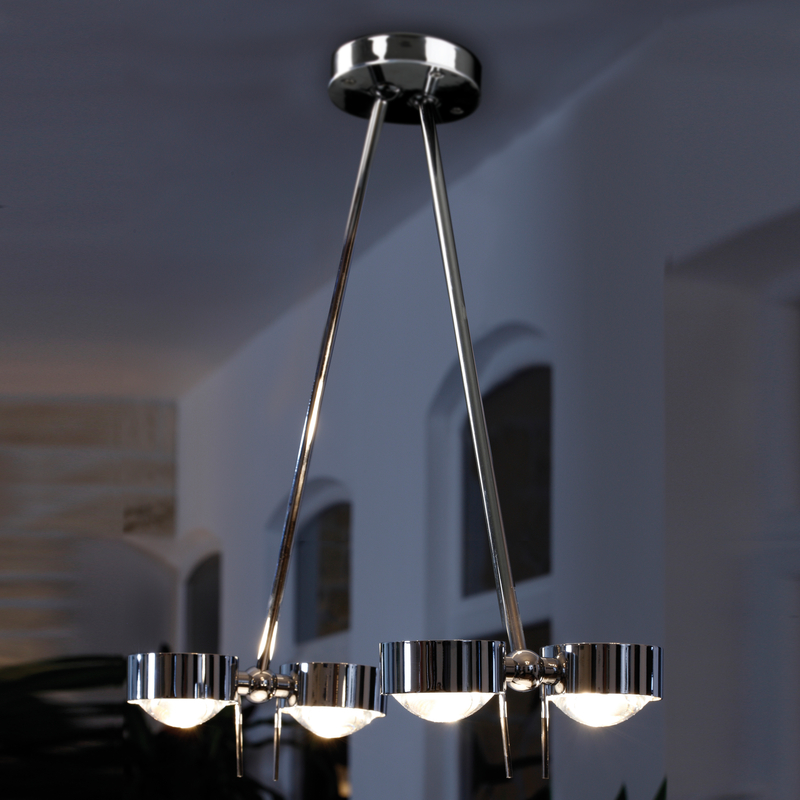 The 4-lamp ceiling lamp by Top Light defined lighting design new, creating wondrous worlds of color or subtle lighting scenarios, depending on what is required of her. The order of the lamp runs of usual simple outfit. Just choose according to your request, modular combination of the different radio buttons. If you want different outfits for the four lamp heads, please let us know by mail. By default, all light heads the PUK Ceiling Twin Sister are provided with filters and lenses of your choice made on this page.